The Energy Club starts a series of events dedicated to the EU policy in the area of energy efficiency and renewable energy sources (RES). • Current discussions about the road until 2030. The invited speaker, Professor Herbert Lechner, Deputy Executive Director of the Austrian Energy Agency and its chief scientific officer will guide the Belarusian colleagues through the EU Climate and Energy Policy suggesting practical examples of how Austria deals with the energy security challenges and what it does to meet the Commission’s 20/20/20 targets. The event is organised in the frames of the ODB EU-Belarus Task-Force programme and is supported by the Swedish International Development Agency (SIDA). 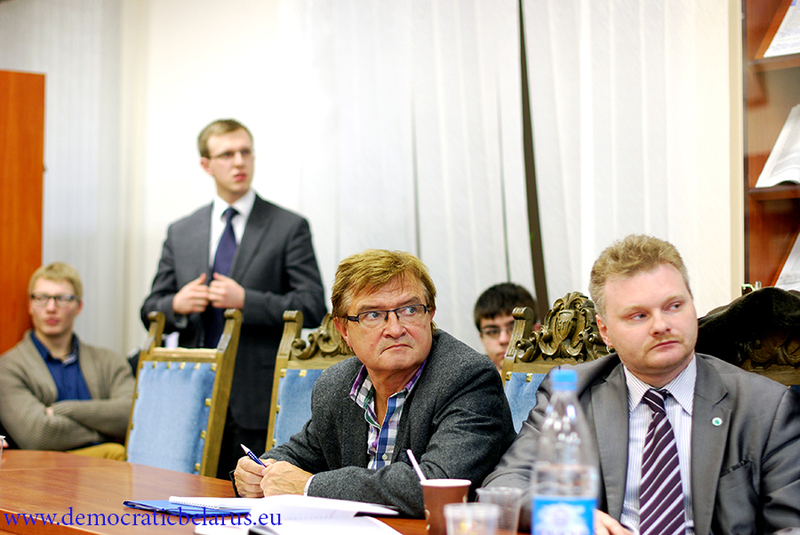 Belarusian experts in energy issues are welcomed to participate. 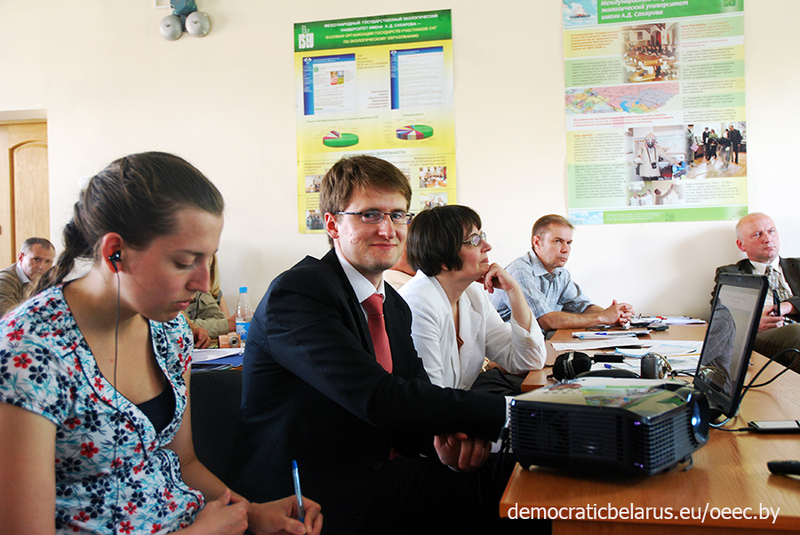 On 30 September -3 October, ODB hosted a study visit for a group of six Belarusian experts in renewable energy sources (RES) and energy efficiency gathering representatives of the National Academy of Sciences, green energy consultancy companies, universities and non-governmental organisations. The visit took place as part of the Energy Club activities in Minsk. The visit was organised under the programme "EU and Belarus: Sharing Knowledge" The project aims at transferring and adaptation of best practices employed in the EU in the field of higher education, transport and energy, as well as the most successful implementing experience from the countries of the Eastern Partnership region. Visit to the European Biogas Association, a guided tour around the Renewable Energy House, meeting at DG Devco of the European Commission. 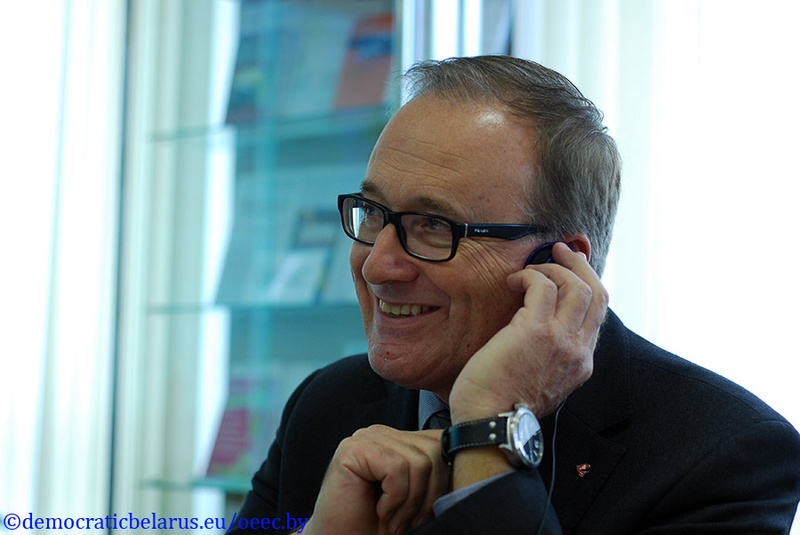 The Office for a Democratic Belarus will host on 30 September - 3 October, 2013 a delegation of Belarusian experts in energy efficiency and alternative energy sources. 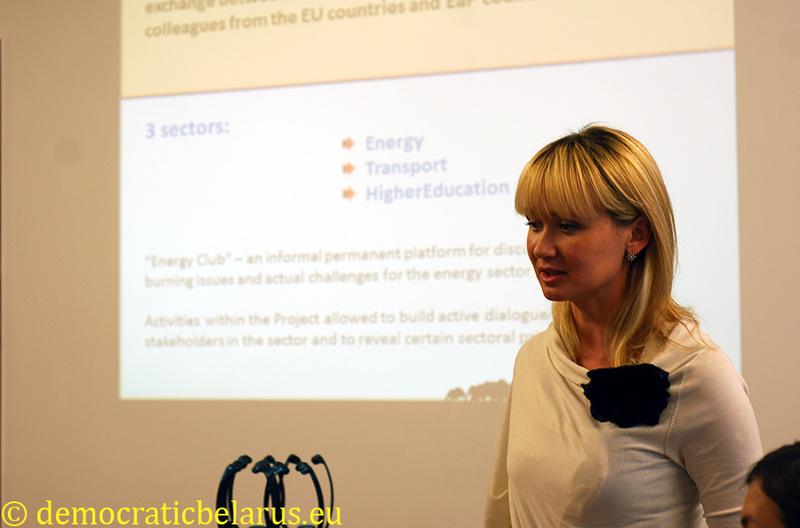 The visit is organised as part the Energy Club initiative formed within the EU-supported project "EU and Belarus: Sharing Knowledge". Main task of the programme is the exchange of expertise and best practices between Belarusian experts with their colleagues from the EU and EaP countries. 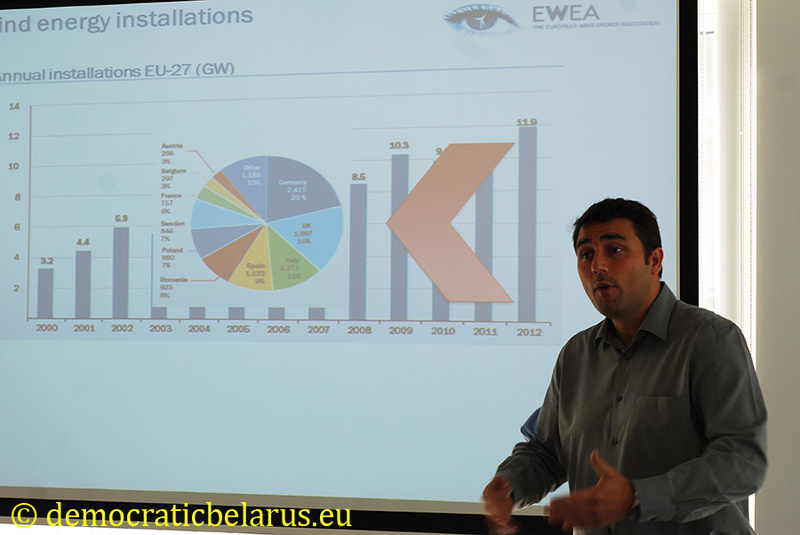 While visiting Brussels, five Belarusian professionals will attend meetings at the European Biogas Association, the European Wind Energy Association, have a tour at the Renewable Energy House, hold discussions with relevant with their counterparts from the European Commission. They will also enjoy a study tour to the Engineering company Tractebel. The Office for a Democratic Belarus is organising in cooperation with the International Sakharov Environmental University the second meeting of “The Energy Club” as a part of the 13th International Scientific Conference “Sakharov Readings 2013: Environmental Problems of XXI Century” . 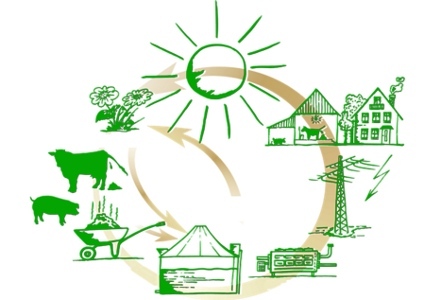 The meeting will take place on May 17th and the topic for discussion will be “European experiences with biogas and the prospects for developing the biogas sector in Belarus”. 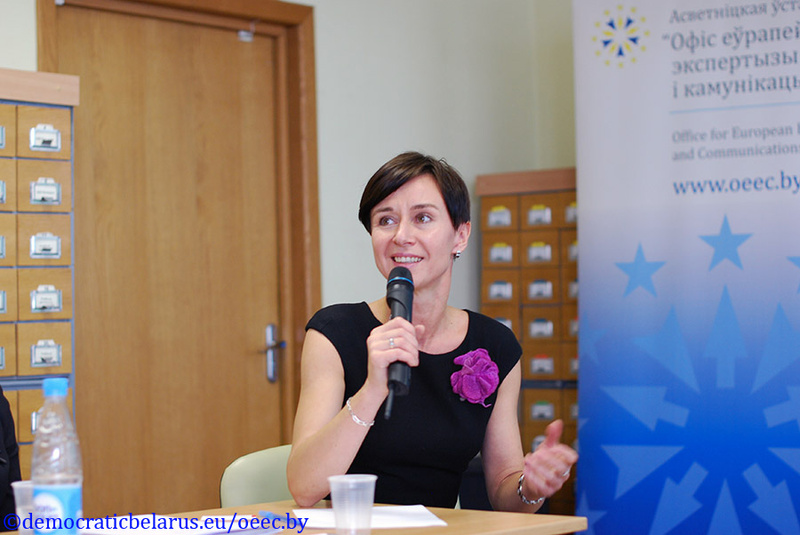 The event is part of the ODB run programme "EU and Belarus: Sharing Knowledge" which is implemented in cooperation with the Belarusian Union of Transport Workers and Supported by the European Commission. All technical and information support under the project is provided by the Minsk-based Office for European Expertise and Communication. During the session that took place in the format of a seminar the participants discussed mechanisms aimed at improvement of energy efficiency and general development of the energy sector including the improvement оf legal regulation. Among the speakers were deputy head of Gosstandart Mr Siarhei Siamashka– director of the energy efficiency department, senior consultant of the Kema International B.V. Dr. Ilka Lewington and Deputy-Director of the Austrian Energy Agency Professor Herbert Lechner. 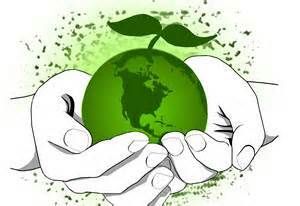 Currently, there is a draft law “On energy efficiency” ready in Belarus. Also the concept of draft law “On electrical power industry” is under discussion that should help improve the legal regulation of the industry and modernize the structure of the sector management. The passing of the law aims at improving its effectiveness and create conditions for attracting foreign investments. The issue of energy security is on the agenda of many countries. However, the policy debate on energy security often focuses on the issue of reducing a country’s energy dependence rather than energy security. In any case, both dimensions seem to be of equal relevance to Belarus. The scale and the magnitude of the energy security challenge has been recognized by the Belarusian government. Its efforts to address the challenge have hitherto concentrated on modernizing the energy sector and reducing energy consumption. However, the implementation of this policy has been hampered by a lack of financial resources and sectoral reforms and by the non-market status of Belarus’ energy enterprises and the legal framework governing relations in the energy sector. What is therefore required is a comprehensive sectoral reform that would involve private investors as well as technical assistance from international organizations.